Understanding our own ancient DNA is a little different than contemporary DNA that we use for genealogy, but it’s a continuum between the two with a very long umbilical cord between them, then, and now. And just when you think you’re about to understand autosomal DNA transmission and how it works, the subject of ancient DNA comes up. This is particularly perplexing when all you wanted in the first place was a simple answer to the question, “who am I and who were my ancestors?” Well, as you’re probably figured out by now, there is no simple answer. In a nutshell – we know that every generation gets divided by 50% when we’re talking about autosomal DNA transmission. So you inherit 50% of the DNA of each of your parents. They inherited 50% of the DNA of each of their parents, so you inherit ABOUT 25% of the DNA of each of your grandparents. Did you see that word, about? It’s important, because while you do inherit exactly 50% of the DNA of each parent, you don’t inherit exactly 25% of the DNA of each grandparent. You can inherit a little less or a little more from either grandparent as your parents 50% that you’re going to receive is in the mixer. This is also true for the 12.5% of each of your great-grandparents, and the 6.25% of each of your great-great-grandparents, and so forth, on up the line. The chart below shows the percentages that you share from each generation. So, here’s the question posed by people trying to understand their ethnicity. If I have 3% Melanesian (or Middle Eastern, Indo-Tibetan or fill-in-the-blank ethnicity), doesn’t that mean that one of my great-great-great-grandparents was Melanesian? If the amount is 25% (for example) and not very small amounts, then the answer would be yes, that is very likely what this is telling you. Or maybe it’s telling you that you have two different great-grandparents who have 12.5 each – but those relatives are fairly close in time due to the amount of DNA that came from that region. See, that was easy. However, the answer changes when we’re down in the very small percentages, below 5%, often in the 1 and 2% range. This answer isn’t nearly as straightforward. 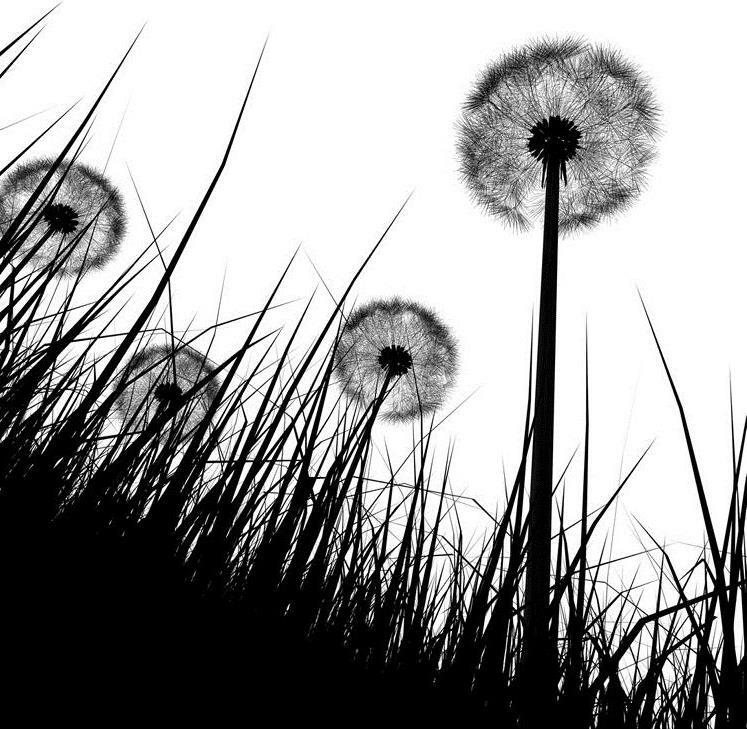 The answer is the dandelion. 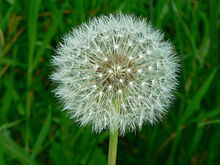 The dandelion is one of your ancestors who lived in the Middle East, let’s say, 20,000 years ago, maybe 30,000 years ago. In case you’re counting generations, that is 800 to 1200 generations ago. The percentage of DNA you would carry from a single ancestor who lived 20,000 years ago, assuming you only descended from that ancestor 1 time, is infinitesimally small. There are more zeroes following that decimal point than I have patience to type. Let’s call that ancestor Xenia and let’s say she is a female. However, you did inherit DNA from many of your ancestors who lived 20,000 years ago, thousands of them, because all of them, through their descendants, make up the DNA you carry today. So infinitesimally small or not, you do carry some of the DNA of some of those ancestors. It’s just broken into extremely small pieces today and their individual contributions to you may be extremely small. You don’t carry any DNA from some of them, actually, probably most of them, due to the recombination event, dividing their DNA in half, happening 800 times, give or take. Now, given that your ancestors’ DNA is divided in every generation by approximately half, and we know there are about 3 billion base pairs on all of your chromosomes combined, this means that by generation 32 or 33, on average, you carry 1 segment from this ancestor. By generation 45, you carry, on average, .00017 segments of this ancestor’s DNA. And for those math aficionados among us, this is the mathematical notation for how much of our ancestor’s DNA we carry after 800 generations: 4.4991E-232. But, we also know that this dividing in half, on the average, doesn’t always work exactly that way in reality, because some of those ancestors from 20,000 years ago did in fact pass their DNA to you, despite the infinitesimal odds against that happening. Some of their DNA was passed intact generation after generation, to you, and you carry it today. The DNA contributed by any one ancestor from 800 generations ago is probably limited to one or two locations, or bases, but still, it’s there, and it’s the combined DNA of those ancient ancestors that make us who we are today. The autosomal DNA of any specific ancestor from long ago is probably too small and fragmented to recognize as “theirs” and attribute to them. Of course, the beauty of Y DNA and mitochondrial is that it is passed in tact for all of those generations. But for autosomal DNA and genealogy, we need hundreds of thousands of DNA pieces in a row from a particular ancestor to be recognizable as “theirs.” When we measure DNA for genealogy, what we are measuring is both centiMorgans, a measure of distance between chromosome positions (length) and the number of contiguous SNP (Single Nucleotide Polymorphism) base locations that match (quantity). The values from these calculations tells us how closely we are related to people, because remember, DNA is divided in each generation so there is a mathematically predictable amount we will share with specific relatives. Here is an example from a Family Finder comparison table showing both centiMorgans and matching SNPs with a second cousin. The matching threshold for genealogical significance is either 5 or 7 cM depending on which of the major companies you are using. At Family Tree DNA, if you match above the threshold, then you can view down to 1cM, which is the case above. Another match criteria is the number of SNPs, or locations, matching contiguously. Anything below about 500-800 is considered to be a population match, not a genealogical match, unless you also have a significant number of genealogical matches at higher cMs and segments with this person. OK, where is all of this going? 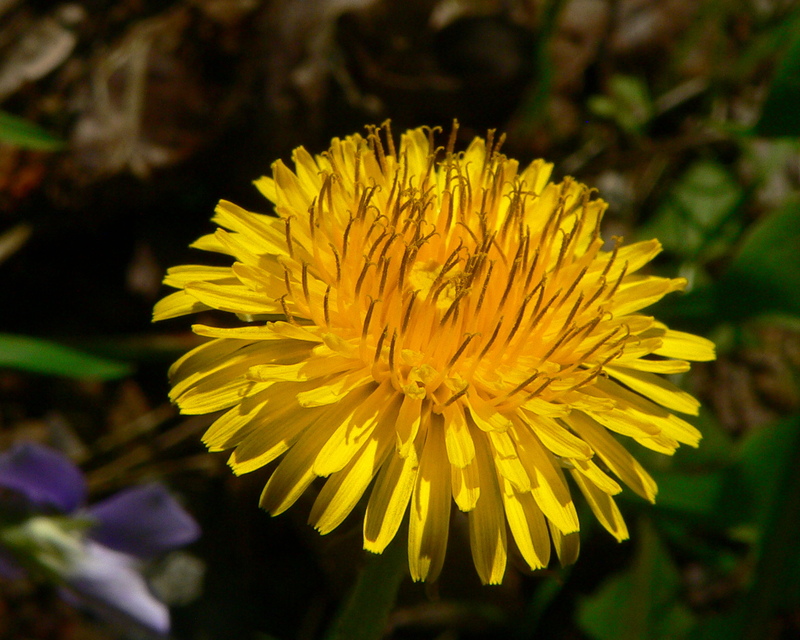 Think of your ancestor 20,000 years ago as the dandelion. Now, blow. Xenia lived in the Middle East. Where might her descendants land, over time, with every new generation? In Europe? In Asia? In India? In America via the Native Americans through Asia? In North Africa? Where? So let’s say that groups of descendants settle across the globe. Let’s say that her mitochondrial haplogroup is X. Yes, haplogroup X is found both in Europe and in Asia and in the Native Americans, so this is actually a good example. So Xenia carried mitochondrial haplogroup X and we know for sure via mitochondrial DNA testing that indeed, Xenia’s seeds were scattered to all of the winds. The only place we haven’t found Xenia’s children is in Subsaharan Africa and the Australian archipelago, at least not yet. Ok, so now that we know where her children and their children went, let’s go back to ancient DNA. The way ethnicity is determined is by studying the frequency with which a specific allele or group of alleles is found in any particular population. Two “pure” examples come to mind. The first example is the Duffy Null allele that is only found in the Subsaharan African populations. Currently this marker is found in about 68% of American blacks and in 88-100% of African blacks. If you have the Duffy Null allele, you have African heritage. Of course, you don’t know which line or which ancestor it came from, or how far back in time, but it assures you that you do in fact have African heritage. It could have been from an ancestor long ago. It could have been very recent. This is one of the factors considered when determining percentage of ethnicity. A second example is the STR marker known as D9S919 which is present in about 30% of the Native American people. The value of 9 at this marker is not known to be present in any other ethnic group, so this mutation occurred after the Native people migrated across Beringia into the Americas, but long enough ago to be present in many descendants. There is also no other known marker that is only found only among Native Americans, although I expect as we move into full genome sequencing we will discover more. You can test this marker individually at Family Tree DNA, which is the only lab that offers this test. If you have the value of 9 at this marker, it confirms Native heritage, but if you don’t carry 9, it does NOT disprove Native heritage. After all, many Native people don’t carry it. Again, you don’t know how long ago this marker was introduced into your ancestry. These two examples are very unique because the markers are found only in certain groups. Generally, with the rest of the DNA values, they are found in different amounts, or frequencies, in different parts of the world and ethnic groups. So, if you’re trying to determine the ethnicity of an individual, you’re going to compile a huge data base of percentages of DNA values found of Ancestrally Informative Markers (AIMs) in different parts of the world. So, you would compare the participant’s values against your data base and you will come up with those regions or ethnicities that are present most often in your comparison. This is exactly what the products and services that provide you with your ethnicity percentages do – and how accurate the results are depend highly on the data base itself, the amount of data, and the quality of data. Dare I mention Ancestry’s issue that they’ve had since they first began offering their autosomal product over a year ago where everyone seems to have Scandinavian ancestry? Ancestry doesn’t share with us their sources, so as a community we have no idea how they have come up with these numbers. You can easily compare your autosomal results in nauseating detail at both 23andMe and Family Tree DNA by testing with both companies, or by testing with either 23andMe or Ancestry and transferring your autosomal results to Family Tree DNA. All 3 of these companies will give you a somewhat different result, but they should be in the same ballpark. You can also then download your raw data file from any of those vendors and upload it to www.gedmatch.com where you can then do ethnicity comparisons using a variety of tools. These tools, an example shown below, will have much more variance and detail than the vendor’s tools or results. And because of that, they tend to be more confusing as well. Many people with small amounts of minority admixture are disappointed with the results through the vendors, especially if their Native American admixture doesn’t show. I wrote extensively about this in my series, The Autosomal Me, so I won’t rehash it here, but using the GedMatch tools is very enlightening, as you can see above with my results. And do I really have Indo-Tibetan and Indo-Iranian ancestors? Back to Xenia and her descendants. Let’s say that Xenia’s descendants settled in four primary locations. One is in the Middle East – they never left home. One is in Asia and from there, to the Americans to become the Native Americans and lastly, to Europe. Now let’s say there is a pocket of them in the Altai region of Asia and a pocket in France. The Altai is the ancestral home of the Native Americans and could explain the Indo-Tibet result, above. We’ll call that Central Asia. And France is where my Acadian ancestors were from. Hmmm….this is getting confusing. To make matters even more confusing, I might well descend from both groups, who originally descended from Xenia. Let’s say that I do in fact carry small segments of Xenia’s DNA. Now let’s say that this same DNA is found in a group of people in Central Asia, maybe in Tibet, it’s published in an obscure journal someplace, and it finds its way into a data base. Voila – there you go – I now have a match in Central Asia in a place called Indo-Tibet. But do I really? Does this mean that my ancestor was from Central Asia? Not necessarily. And if so, maybe not recently, but the people from that location for some reason share some of the DNA that I carry. The question of course is why, how and when? What this really means to you is a matter of degrees. 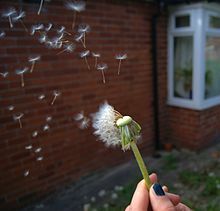 If you have a few matches from obscure regions, along with very small percentages, it is likely a result of the dandelion’s dispersion. If you have a lot of matches, meaning a high percentage hit rate, from a particular region, pay attention, it probably has some genealogical significance. It’s no wonder people are confused by this! Now, just think how many dandelions you have. In 15 generations, you have 32,768 ancestors. In fact, this is how we know for sure that we all descend from the same ancestor multiple times. Our number of ancestors quickly exceeds the world population. In 30 (25 years) generations, in about the year 1263, we reach about 1 billion ancestors. In 1750, there were 791 million people on Earth, in 1600, 580 million, in 1500, 458 million and in 1000, 310 million. We know that we very likely descend several times from a much smaller group of ancestors from isolated local populations. However, just looking at the 32,000+ ancestors in 15 generations, it’s still an entire dandelion field!!! This entry was posted in 23andMe, Ancient DNA, Autosomal, Biogeographical Analysis (BGA), Ethnicity, Family Tree DNA, GedMatch, Marker Frequency, Population Genetics and tagged Introductory DNA by Roberta Estes. Bookmark the permalink. WOW! “In 30 (25 years) generations, in about the year 1263, we reach about 1 billion ancestors. In 1750, there were 791 million people on Earth”.–Never thought about that, but certainly makes perfect sense. So those places in my MS ancestry just 7-8 generations back where I have the same ancestor twice (or in once case three times) are just my family ‘recycling’ it’s ancestors as they should! LOL 😉 Well written-thx for making me put on my thinking cap Roberta!! My MS family did the exact same family recycling and when I did my family tree the same 4 names kept resurfacing over and over again. Thanks so much for this Roberta, it helps to explain a few things I was confused by. So does this mean that even if a population comes up in the admixture oracle tests on Gedmatch and you appear to actually have one or two matches with people from that population, that it just means you both share ancestors from longer ago and maybe from some other place? Thanks again for your educational blog. I don’t mean to be obtuse, but it depends on the circumstances. It’s like my Indo-Tibet example. Roberta, many thanks for this common sense and educational post. You are grrreat! Does FTDNA test for the Duffy Null allele? if not, what else would be a good predictor of Sub-Saharan ethnicity? They don’t test for it as an individual test. It is one of the locations tested in the autosomal test. Is it on a specific chromosome? My husband’s aunt has 5.5% as sub-Saharan Africa on the FTDNA FF population finder. I did two of the Gedmatch admixture utilities, the MDLP Admixture proportion by chromosome and the chromosome painting, so I can visually see what chromosomes are from Africa This blog brought up the Duffy Null allele and I’m wondering if we can see it on a specific chromosome. This is leading up to searching for others who match this chromosome and finding which of her maternal lines has the African lineage. Here’s what you’ll need to do to find the location on the chromosome. You’ll have to find the rs location on the chromosome for the duffy null allele. I would have to google around and probably check pdSNP and you’ll have to do the same thing. When you find the rs position, it will tell you which chromosome. The rs position is it’s address on that chromosome. Then you’ll have to figure out what the normal, ancestral value is and the mutated or derived value. Then you’ll have to download your raw data file and look in the results to see which 2 values you carry at that address on that chromosome. It won’t tell you which side, but if you carry the derived value twice, it’s both parents. If you carry it once, then checking your parents, will tell you which side. The African version is a null, meaning it’s gone, a blank. Do you find rs2814778 by looking for it in your raw autosomal-36 data from FTDNA? I can’t find that with a search. I just checked and I did not find it in my FTDNA file. I did find it in the 23andMe raw data file. FTDNA removes SNPS that have medical implication, and this apparently is one of those. Ah. That also could explain another I was “missing”! Thank you! Guess I’ll get their test, too. So this helps, as I am completely puzzeled by results/matches/ non matches. We started our to discover if HD born in 1786, my known 3rd great grandmother was the daughter of SM. Circumstantial evidence strongly supports their relationship. However when the results were returned for my aunt, who’s dna was submitted, she did not match SM’s known descendant who I have been working with in past years. They both match a few people in common, who are Sm’s descendants, and they both have a couple of folks who are a match to each of them. So is it possible that Aunt and/or friend simply did not inherit enough of SM’s dna to link them? Yes, it sounds like that’s probably the case. The fact that she matches some others who also descend from SM is encouraging. I think I figured out that she doesn’t have the Duffy Null allele because all her sub-Saharan DNA is on Chr. 3, 6, 7, 11, 12, 19 and 20. I’m going to look for FF matches on those chromosomes. According to the percentages from each generation above, if the 5.5% is accurate and we have no known sub-Saharan ancestors back 5=6 generations, wouldn’t that mean there is sub-Saharan DNA from more than one ancestor. It could mean that or that people were more admixed than you thought or that the DNA got passed not in average amounts. The further back you get in terms of time and percentages, the less reliable the “averages” are. Thanks once again for your help and insight!!! Thanks, this article explained some of my results. I couldn’t understand why three out of four of my grandparents are Native American. My results turned out 22% Native American and 28% Middle Eastern and 49% European. Thanks for your article, I have historical evidences that show ancestors in East Midlands area (UK) at the end of the middle age (1400 AC , 25th to 30th generation) . Do I have a chance that autosomal DNA tests could confirm these historical evidences? Utilizing Y DNA, you could look for clusters of matches in this region – but that’s about as good as it gets. Unfortunately, these ancestors are not either in direct male line nor maternal direct line so, I suppose, I have to use autosomal DNA. But I wonder if it’s possible. Thanks Roberta for your reply. 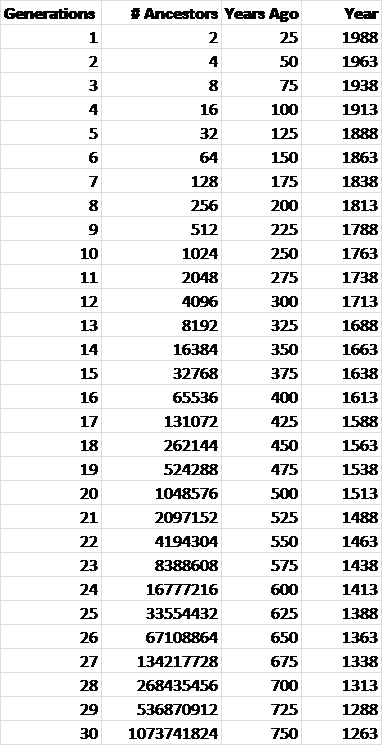 The table showing # of Ancestors, should add another column to show Total Ancestors. A true count of the number of total ancestors would add the count of ancestors for all prior generations. For example, you have 8 third generation ancestors. But, at the 3rd generation level you have 14 total ancestors, not 8. You have 2 parents + 4 grandparents + 8 greats giving a total of 14 ancestors. At the 30th generation level you have 2,147,483,646 total ancestors. Of course the number of unique ancestors will be less due to cross-breeding. Where would a result of Kalash come in to play at? Thank you for this wonderfully written explanation! I do still have confusion in what “distance” means when looking at results in oracle on Gedmatch. I think I understand the basic premise but no defined explanation anywhere. Any help on this would be amazing! I also have a question in regards to chromosome comparison between my son and I. Am I correct in my assessment that if my son has higher than half (50%) of my own percentage in a given chromosome, the overspill comes from his dad? For example, fir chrom.#2 My percentage of Amerindian is 14% – my son is 12%. If he only has 50% from me that should be 7% so is the other 5% from his dad’s side? Logically, you should be able to interpret it like that – but ethnicity results and interpretation are still in their infancy, so I would not draw that conclusion. I would keep it in mind. I have a question; So you are saying that we are NOT related to most of our ancient ancestors, only some? Example, If I happened to find an ancestor living around 700 A.D., I am most likely not related to him, thus really making him a NON ancestor? He is in your genealogy. And you may carry some small segments from him, but they may be too small to tell and we could never identify them as being from him. Okay that clears things up. So would it still make sense to say I descended from him? Even from a scientific standpoint? Hi Roberta, I loved your piece. I have done the Family Finder Test on familytreedna and I only expected to get results on my genetic admixture without any matches. I am from Suriname and as far as I know genetic testing is not a hit yet there. I was surprised to find matches because as a sixth generation descendant of African slaves I did not expect to match with other descendants of the African Diaspora outside Suriname. I tested 82% African and 18% European. I discovered a list of matches that at a first glance seemed to be all of predominantly Jewish Diaspora with some European descent. I found it interesting since Jewish Diaspora did not show in my genetic results. I had my parents tested and my mother does have a very small amount of Jewish Diaspora (5%) and has my matches in her list as well. I have used the matrix feature on the Family Finder page to check if the matches were also genetically related to one another. Most of them were. Brings me to my question of the dandelion effect and the matrix feature on Family Finder. How big is the chance that my mother and I have a genetic relationship with predominantly Jewish Diaspora matches who also match in the matrix through a common European ancestor? For my own results I am trying to find a logical explanation as to why all these Jewish Diaspora matches would show up on my list when my results indicates that my mother did not pass any Jewish Diaspora DNA to me. So that means the match would have to be a common European ancestor right? Probably. Remember that the European Jewish people share a huge amount of DNA between themselves and they have thousands of matches. So keep in mind that if you have some Jewish heritage in one of your European lines, you’ll likely many people on those segments. Roberta, does this explain why my son has 9% Jewish diaspora in his MyOrigins, but I have none (his mother) and his paternal aunt (grandmother’s sister) and paternal uncle (grandfather’s brother) do now show any. We had them tested to see where the Jewish might have come from. Could he have gotten a small match from one of us, but the match in his results shows up larger because he matches many related European Jews. Not sure this makes sense, but we’re mystified to find 9% in my child and their great-nephew. I do know some cases where that has happened in endogamous groups. It may remain a mystery for awhile. Does it also show up when you run the admix utilities at GedMatch? I’m having issues with Gedmatch now; it sets off my Avast Anti-malware program. Don’t know what to do about that. I can’t find his MDLP Admixture proportions that I did last year. I have my own, but nothing there says “Jewish diaspora.” What terms are used for Jewish on that utility? The tools change from time to time and you can run different versions as well. Thanks. Don’t worry about it now. He’s a 23andMe test; I’m going to look there. Have a great trip!! I am showing that I have 1% Iberian ancestry. And I have been lucky beyond belief in tracing my ancestors. Through a genealogical study done in the early 1600s by a monk and from several other tantalizing hints, I could believe that I am descended from a Moor who lived around the year 300. Further that there may have been a group of moors who lived in a localized area in Switzerland before become totally assimilated. Does the 1% figure further support the prior conjecture? Because frankly that 1% is just what I wanted to see. It’s possible but there is really no way to know for sure. It surely is a tantalizing tidbit! Hello, I have a question. In my brothers test it showed 7% Subsaharan African. There could be a possibility that our great, grandfather could be an African.We found out that in the Indonesian area my grandmother comes from, many Indo-African families live. We can find historical evidence about this. How can we find out if this 7% subsaharan African is from a recent ancestor? Our parents, and grandparents are not alive anymore.So we can not test their dna. If you and your brother are full siblings, you should see how much SSA you have as well. Typically about 7% would be one great-great-grandparent. Fascinating piece! Thanks! I’ve had my mom & half sister tested by AncestryDNA. My mom’s results showed her to be 51% Scandinavian (which was expected, based on family lore), but my sister’s results said she was 20% Scandinavian. I’d have expected she would be 25-26% or more, so I was surprised she was significantly less. I don’t understand how this could be. Intra-continental DNA estimates are know to be very inaccurate. Ancestry is especially bad. There are other articles about this on the blog. Type the word Scandinavian into the search box. If a parent is aprox. 51% Scandinavian, I don’t think it is that “off” for a child to come up as 20%. What is the other ethnic composition of the mother? The daughter probably took the other percentages from other DNA on her maternal side. And, although I realize that our DNA from our parents is supposed to be almost 50/50, I suspect that there is a little variation there, too, although not as much as going back to more distant generations. If a child looks way more like his/her paternal side, I would think the DNA would be tilted slightly higher on the father’s side. You get exactly 50% of the DNA of each parent, but you may not get exactly 25% of the DNA of each grandparent. So you can’t have more of one parent’s DNA than the other, but you can have more of some grandparents than others. I have a question. My husband did a DNA test a couple of years ago with GeneTree and the results were 91% European, 7% Native American, 2% Sub Saharian African. We did it again through Ancestry and this time 100% European(Scandinavian, Englisch, Italian, Greek). No, Native American. We know that there a least two parts of Native American in the family and we just got a confirmation of Cherokee Indian, on paper from the one side, which would make it 1,56% for him. His father did the same test and there was no Native American, he would have 3.25%, because it is from his side. I have not found the Italian, Greek or Scandinavian family via paper trail. I do not believe that GeneTree does the type of testing that Family Tree DNA, Ancestry and 23andMe do, so I would have significantly less confidence in the results. The earlier test tested about 20 markers. The tests today from FTDNA, 23andMe and Ancestry test between 600,000 and 900,000. No comparison at all. That is a bigger amount. They tested with 400 markers, I just checked. We also received a copy of the sequence from them, but not from Ancestry, which would be a good comparsion to the old then. I wonder if that was the old DNAPrint test. They used about that many markers and they resold that test to a number of places. I am confused about your table at the end, relating generations and number of ancestors and years. At 30 generations back, there are more than 1 billion ancestors in the contributing gene pool, if I understand the chart. And if we went 32 generations back, there would be 4 billion, at about the year 1213. I don’t think there were that many people on earth at that time. Somewhere, at some point this table breaks down and is not accurate, it projects more people in the contributing gene pool that could have been alive, especially when we go back into ancient times. That’s called pedigree collapse. It happens in every tree at some point, but generally, we don’t know where. OK, we can call it pedigree collapse. But what does it mean in actual terms? Does it mean there are fewer ancestors because in a large number of cases, one man or one woman who produced off spring also produced off spring with other men or women, possibly with others in their own line of descent? Therefore the number of ancestors needed to produce the current generation of people is reduced? Eventually. For most people it’s beyond a genealogical timeframe. Probably has a lot to do with identical by population segments. We see this in endogamous populations today. Pedigree collapse can often be seen in Acadian ancestors today. Also, of course, couples producing off spring will have multiple children reducing the number of people in previous generations needed to produce the entire present populations. But the idea that as you go back in generations in each step doubling in numbers for a given living member of the tree collapses very significantly and is not accurate beyond a few generations back from the present time, whether you consider just one individual living in the present or if you consider the entire present living population. The numbers become unrealistically large as you go back in time, especially beyond 10 – 12 generations, and by the time you get to 30 generations and more, the numbers are absurdly large and do not conform to reality at all. So it is entirely possible that if ONE ancestor in 1750 in Virginia was Cherokee that my DNA test would show no native American connection, correct? I am German. My test was made on MyHeritage. My mum told me my dad (WestPrussia) has had jewish ancestors and I know my grandfather (dad’s side) was in a labour camp. Than after World War II they flew to Germany and remained there. Now I made a DNA test to see if ashkenazi jew and in Gedmatch it’s ony 0,86% popping up. This could be Xenia, but not my grandfather nor great great one, yes? But I see matches with many who have in their match lists jewish people. Mainly US citizens. And checking their tree is from Pomerania, where my grandfather came from. So could it be that it does just not show up? Because the history they told screams to be jewish at some point. Many US residents have German ancestry. If your grandfather was Jewish, it would show in your heritage at about 25%. Family Tree DNA has extensive experience with Jewish DNA testing and was founded by two Jewish men. I would recommend that you test with them. MyHeritage is new and their results don’t map reliably. I have no idea how well, or not, they pick up Jewish heritage. These results weren't too surprising however I was slightly disappointed because there wasn't a broad breakdown of ethnic groups and countries of origin for my South Asian ancestry. I would have liked to known roughly how much percentage I have of Pakistani, Indian, Nepali, Bhutani etc and other similar ethnic groups. There are dozens of ethnic groups in all South Asian countries and there's lots of diversity! Also there was no real breakdown for my supposed East and Central Asian ancestry, I would have liked to known if it was Chinese, or Korean, or Mongolian, or Thai etc. Listing a number of East Asian countries as a whole where I may have possibly had some ancestors come from was just… not very informative. It was all very vague. For example for many Europeans, the results will show a breakdown of the different countries their ancestors came from , i.e. Ireland, Iberian region, Greece, Italy, Scandinavia, Balkans etc. I didn't get that with my results. Is there a reason why? I was surprised to see that I have 2% Melanesian, very interesting and fascinating places they are. But according to your article it's almost insignificant I believe. Still I am wondering where it comes from? I have also noticed many other South Asians also show to have Melanesian dna. Did Melanesians perhaps migrate to the Indian subcontinent and marry the locals? Or vice versa? Would you be able to provide some insight to this? The 3% East Asian and 2% Central Asian didn't surprise me because when I was younger I looked more Eastern/Central Asian (I could pass for any Central Asian and East Asian country) but as I got older I looked less and less east Asian. But even to this day I retain a somewhat 'Mongol' look as I am told. So I'm sure it's there, I would just love to know which East Asian country some of my ancestors were from. I was also baffled to see that I have full blooded Europeans as my 4th-6th cousins according to the Ancestry database, despite having less than or just 1% Scandinavian dna. I have no idea where it comes from, or what it means when 'Andrew foster' (a full blooded european with no south asian ancestry) happens to be my 4th to 6th cousin. The only thing we have in common is the Scandinavian DNA (mine of which is so minuscule). Does this mean he is actually related to me? Sorry, I'm very new to DNA so pardon my ignorance. But could you perhaps explain what this means? From what I do know is that ethnically I am Pakistani, so the 91% South Asian was expected. I can only trace one of my grandfather (from my father's side) who was from North Indian region of Punjab who migrated to Pakistan during the partition in 1947. This is the only known Indian side that I'm aware of (region wise). The rest of all my cousins and family are from Pakistan and have been there before the partition in 1947. I spoke to my parents and according to them my great grandparents have been living in the region of Pakistan for as long as they know. There have not been any known migrations that they are aware of, but of course going back thousands of years it's like there perhaps were some. What do you think of all this? Is there anything else I should be aware of that would be helpful? Thanks. Would you know why many south asians would show to have small amounts of melanesian dna? 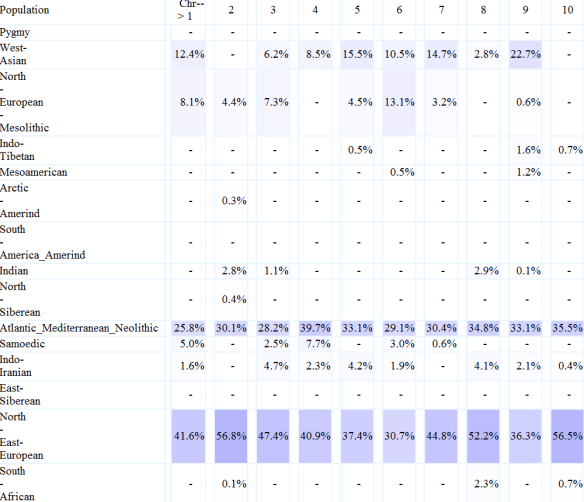 Also now I’m not sure how I should interpret the small amounts of east/central asian dna (3% and 2%). Should I care to dismiss it? I’m beginning to think that it may have just been a coincidence that I looked more east asian as a kid, after all the regions aren’t too far apart. I guess it would be a shame since it means now I share nothing in common with my heroes Bruce Lee and Jackie Chan. 3% was at least something. In all likeliness the small % could have been from when the mughal empire occupied much of the Indian subcontinent as well as the mongol invasion (Mughals being Central Asian and Mongols being East Asians). That would appear to be the most plausible explanation for the small traces of central and east asian dna. I can’t say I’m disappointed with the test, it was a fun experience after all. I would have expected the company to be able to identify the different asian ethnic regions since there’s so much diversity. It’s equivalent to a person from Thailand being told they’re 90% east asian, with a circle focusing around all east asia. There’s so much diversity in Asia, arguably more so than Europe. Everyone in my family looks different, we look like we’re from different countries within Asia and even beyond. That’s why I did the test! Still waiting to hear from you. Thanks! Does FTDNA “Scrub” some of the SNPs from our uploaded raw data? I ask because i read they do from Kitty Cooper. I believe this explains the High No-calls on Gedmatch. Many people i notice have same issue with FTDNA raw data transfer. Gedmatch even says they cannot accurately predict your eye color if you used FTDNA. Would this mean that admixtures on Gedmatch could be off a bit? They have always remove some number of SNPs with medical info.